Jupiter is the biggest, angriest cup of coffee in the solar system. In snapshots from NASA’s Juno spacecraft, Jupiter’s swirling clouds look divinely creamy—but the planet is anything but placid. Jovian storms, chaotic and spectacular as they are, offer a stark reminder of how awesome and terrifying the universe really is. Goddamn are they both. 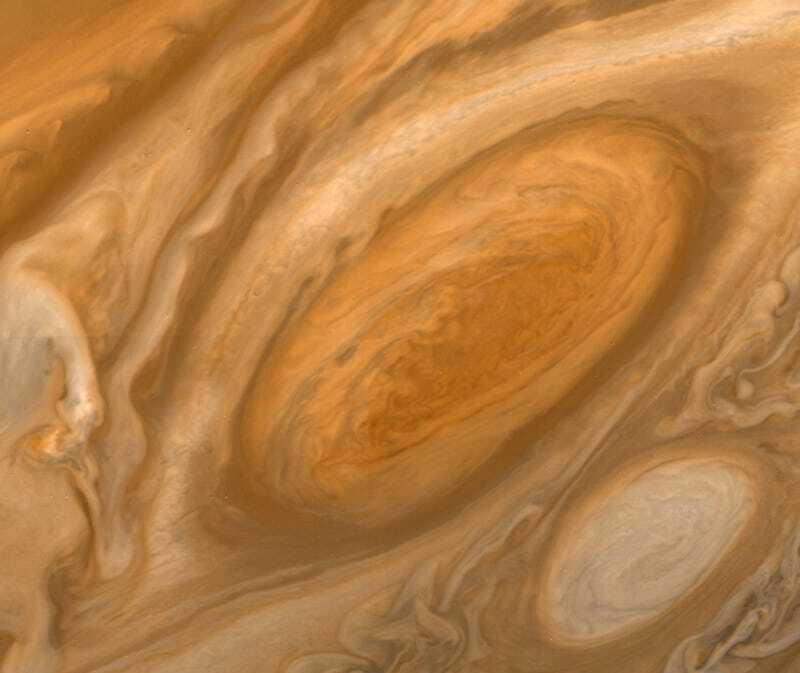 While there’s a lot to gape at when it comes to Ol’ Jupe, its crown jewel is undoubtedly the Great Red Spot—the largest storm in the solar system. The tempest stretches 10,000 miles wide (16,000 kilometres) and howls with winds of up to 400 miles an hour at its most extreme. Despite monitoring it for about 150 years, we can only guess as to what the storm looks like up close—but finally, that’s about to change. On July 10th, Juno will get closer to the Great Red Spot than ever before, giving us our very best view of the cloudy abyss. According to NASA, the spacecraft’s sixth science flyby will bring it about 5,600 miles (9,000 kilometres) above the GRS’ clouds. Of course, Juno will be flying with its famous JunoCam on, so that raw images can be later turned into gorgeous works of art. Not even seasoned astronomers know what they’ll find beneath Jupiter’s cloud tops. Juno’s principal investigator, Scott Bolton, told Gizmodo he’s excited to see the Great Red Spot up close and personal—but has no idea what it’ll look like. Juno will use its infrared imager to look at specific molecules and their temperatures within the storm, Bolton added. The spacecraft’s microwave radiometer (MWR) will help Juno peer beneath the GRS’ cloud tops for clues about its past. Though the storm has been observed for over a century, it’s believed the GRS might be more than 350 years old. No matter what mysteries Juno unravels, we’re sure they’ll be nice to look at. Jupiter’s good at being pretty—and terrifying.